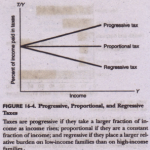 Wc have studied above the general thcory of income distribution. Two questions arise: (oj Is the distribution equitable, fair and just’! (II) Why is there inequality of incomes? The first question is ethical and involves value judgment and docs not admi; of any objective measurement. Also, fill two opinions agree on the criterion of fairness or justice. It is futile. therefore. for economic theory to attempt to answer this question. .
(i) So far as differences in labour earnings are concerned. horizontal differences are due to differences in demand and supply conditions for a particular type of labour. Quantitative differences in the amount of work done and qualitative differences in the abilities and skills of the workers account for differences in earnings; vertical immobility also gives rise to differences in earnings of certain professions. Vertical mobility depends on the opportunities for training and for going up and it is also accounted for differences in social inheritance. (ii) Differences in earnings also arise from differences in ownership of capital. e.g.• business assets; land factories and property of all kinds. This may. in turn, be due to inequalities of Inheritance or gifts received. qualities of thrift and saving propensity and opportunities for investment or windfalls. chance or luck. (iii) Differences in inc me may also arise from interference with the price mechanism. The owners of resources may manipulate the prices of the resources they own and the producers. the price of their products, e.g.• farmers gelling high procurement prices fixed up. cane-growers gelling minimum price of sugar-cane. In an area of price control. all manufacturers endeavour to get minimum prices fixed for their products. How far the owners of resources are able to raise their distributive share will depend upon the elasticity of demand for the factor concerned. By restricting the resource supplies. the resource prices. and hence their income. can be raised. The existence of a monopoly or monopsony result in the manipulation of factor incomes.